There are few celebrations in the year that touch something deeper within us as much as the Winter Solstice celebration. Picture the scene. It is the dead of Winter in ancient times. Snow is falling on the forest, and nothing grows. The nights get longer and longer, while the temperature drops. Then – a change. Slowly but surely, the sun grows stronger. Ice melts, flowers bloom, the sun shines and life returns. This is the enchanting effect of the Winter Solstice. Such is the importance of the solstice, it’s hard to find a time when we did not celebrate this change. The currents that flow at this time of year are perfect for Spell Casting, and can be used in a way that is unique. Let us examine the way in which the world has observed this special event, down through the ages. In a technical sense, the Solstice is the day once which the sun reaches its lowest angle in relation to the horizon at noon. In the northern hemisphere, this occurs on December 21st. The earliest proof we have of humanity recognizing the absolute importance of this date is the Goseck Circle, in Saxony, Germany. This ceremonial wooden circle was constructed a jaw-dropping six thousand years ago. It was designed to frame the sunrise and sunset of the Winter Solstice. It still works to this day. This shows the primal effect that the Solstices had on early humans. Here at the 7witches Coven, we have great respect for the powerful ceremonies that our ancestors took part in. Modern druidic organizations still seek to glorify and celebrate this vital time. Perhaps one of the most spectacular of these occurred at the ancient New grange burial chamber in Ireland. Just as the sun rises on the Winter Solstice, this specially designed chamber, carved from stone over five thousand years ago, floods with light. This is only morning of the year this happens. A ceremonial rite almost certainly took place at this time. Positioned in a fertile river valley, that still produces some of the finest honey in Europe, the prosperity that this rite would have invoked is obvious. 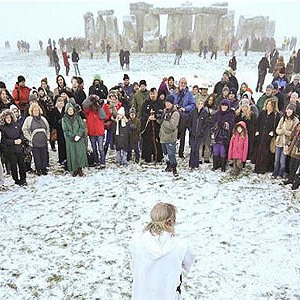 Right through to modern times, we continue to see how the Winter Solstice is recognised as an incredibly important time. One of the biggest celebrations takes place near the famous Stonehenge monument in the UK every December 21. People brave the cold weather in their hundreds, to turn out and celebrate what has always been a pivotal moment in our calendar. Often, fire is used in these celebrations. This is a potent symbol of rebirth and renewal. In fact, the use of fire is common in celebrations in the Yule period, during which the Winter Solstice takes place. The use of fire is reflected in some of the rituals that our Coven uses to celebrate this particular event. It is important to remember that even thought the Solstice is known to us in December, its reverse takes place in the Southern Hemisphere’s winter, in June.This naturally duality in our planet is a symbol of balance, and of the eternal power that the Winter Solstice has. 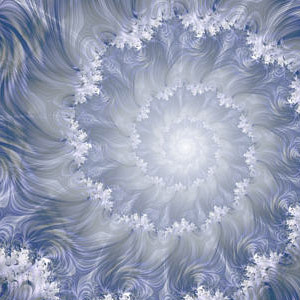 Do you celebrate the Winter Solstice? Do you feel the special currents that flow through the air at this special time of the year? Do you feel that the Summer Solstice is on an even footing, or is the Winter Solstice more important? We would be interested to hear your your opinions on this, and if you would like to further discuss this hugely important event, do not hesitate to contact us via our Facebook page. I look forward to reading your responses, and wish you a blessed solstice. Thank you for sharing this beautiful information... so grateful to have found y'all ( yes I'm southern lol) everyone is helpful! If your reading this and need help you've found it! Blessings and Love, G.